Shawn Lickliter, a Tennessee native, became captivated by whiskey while working part-time in a wine-and-spirits shop. An accidental passion formed as did the foundation for a career in cocktails. 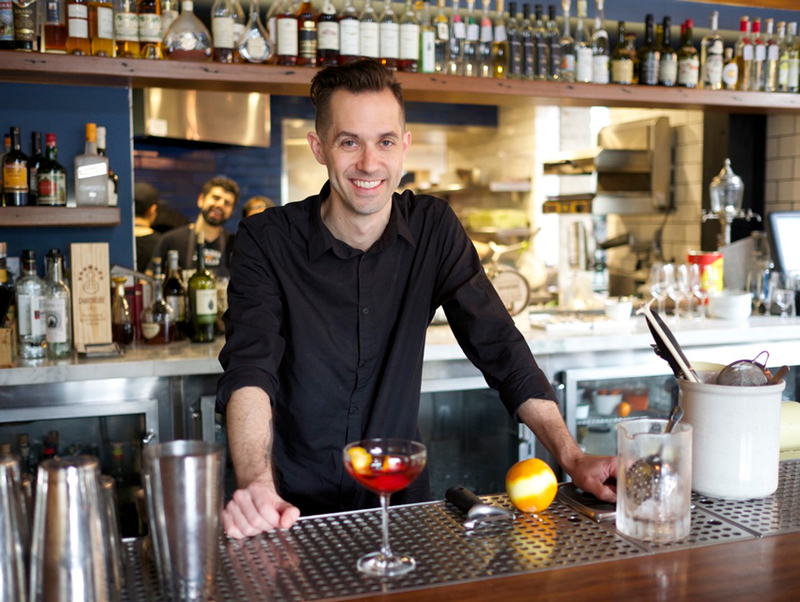 After landing in L.A., Shawn spent four years leading the bar team at Thomas Keller’s Bouchon in Beverly Hills and most recently became République’s Bar Program Director. Echoing Chef Walter Manzke’s approach to food, Shawn creates fresh cocktails inspired by seasonal ingredients and looks for new ways to reinvent old classics. Shawn’s love of whiskey remains, and it tends to be his preferred drink of choice. Read on to discover the cocktail that does the trick after a long night and how you can make it at home. Muddle sugar cube and bitters in an Absinthe-rinsed rocks glass. Add Rye, Maraschino, and ice. Stir to chill. Finish with a lemon peel.